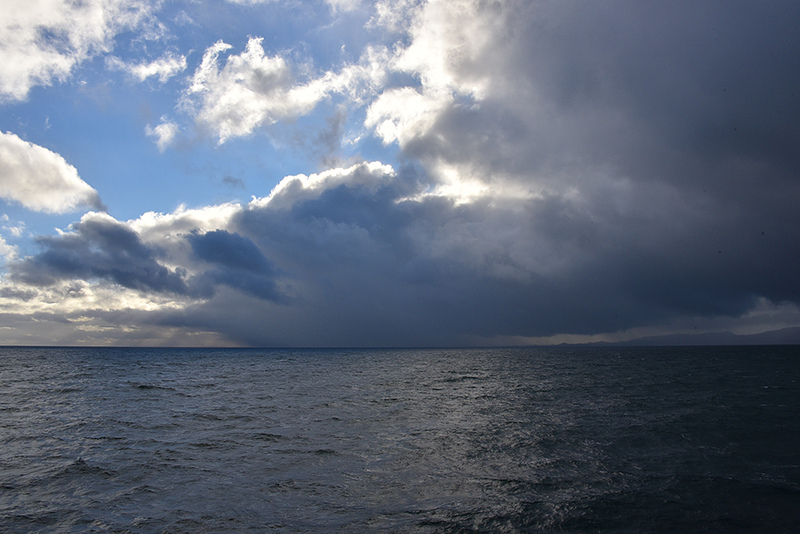 A view from the ferry heading to the Sound of Islay, a very heavy rain shower passing along the south coast, the Sun lighting up the clouds from behind. This entry was posted in Cloudy Weather, Landscape, New Post, Sunny Weather and tagged ferry, Islay by Armin Grewe. Bookmark the permalink.